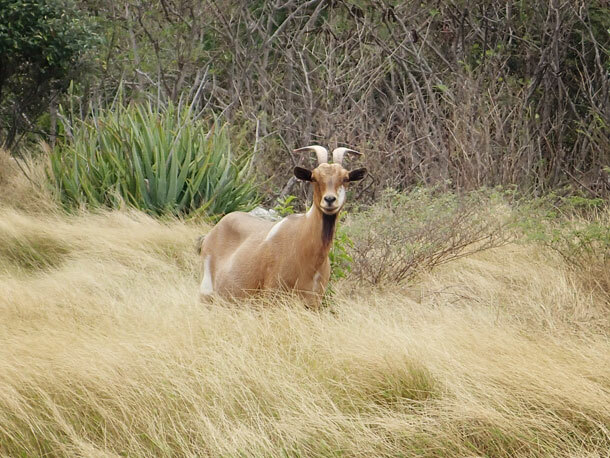 Wild goats populate most of the southern islands in the Jumentos chain. 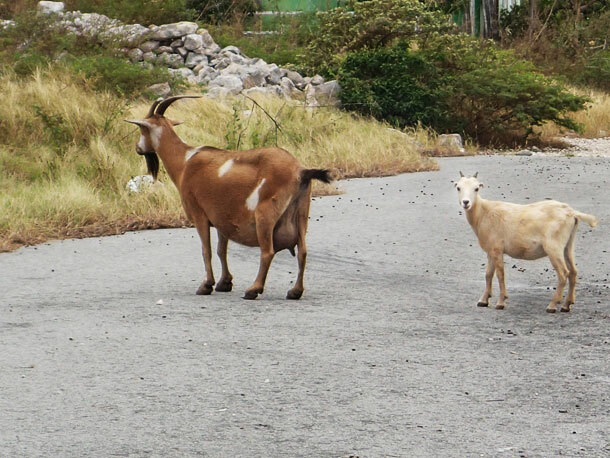 Goats in Duncan Town roam the streets. 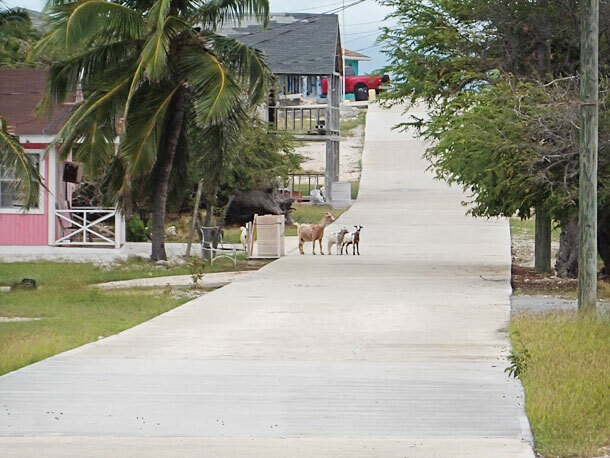 And they roam around in people’s yards. 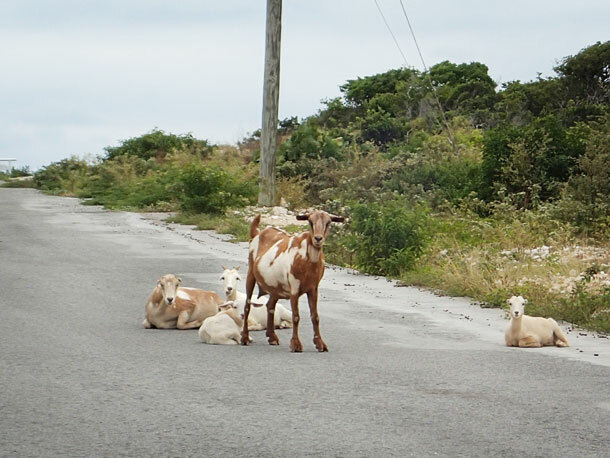 We saw lots of mamas with their babies. 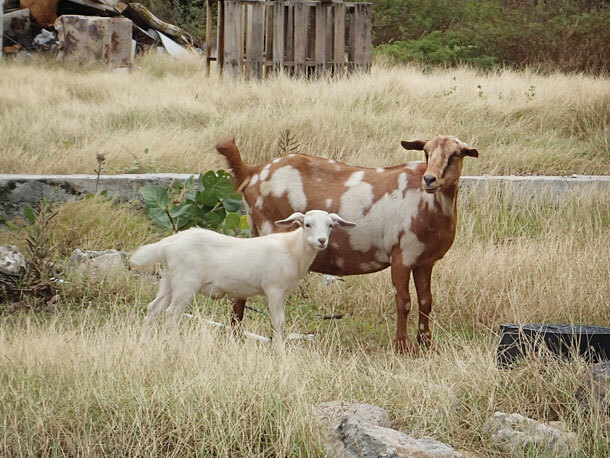 Although the goats tend to move away once people are spotted the younger goats seem to be curious and have less fear. 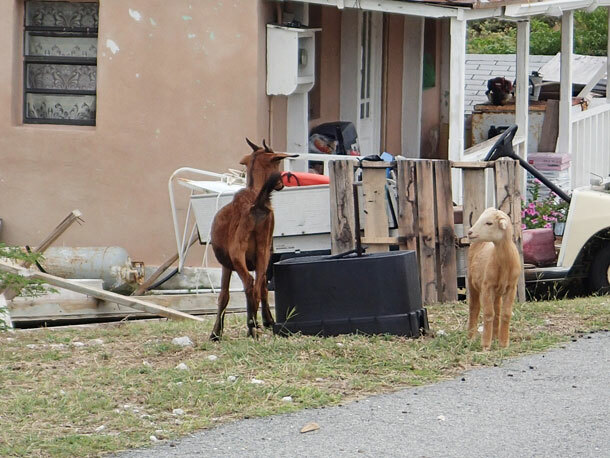 Often times they will get left behind when a human being approaches, then once they realize they have been abandoned they start baaaaaaing for their mama. 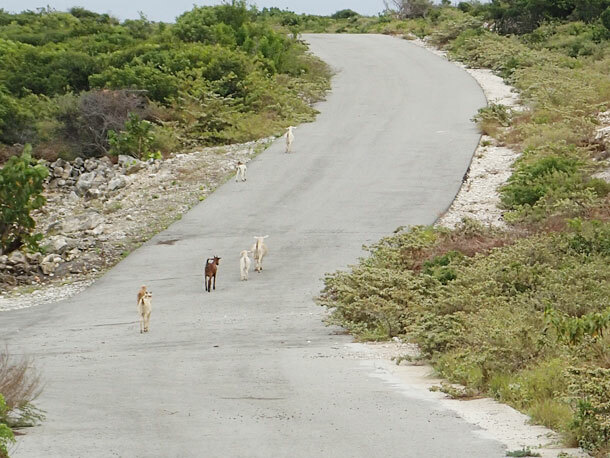 I thought we were going to have to pay a toll to get past these goats. 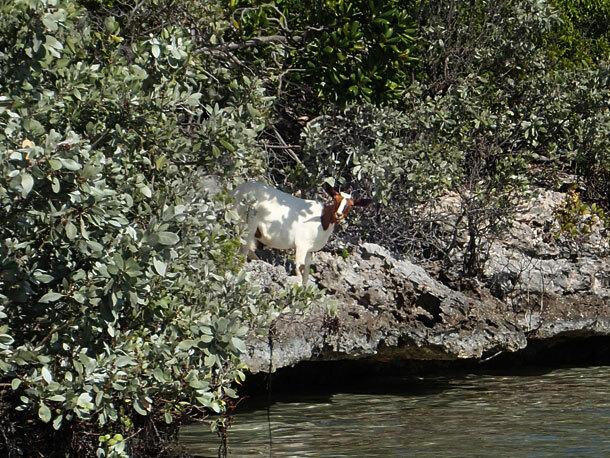 The goats we encountered outside of Duncan Town were pretty elusive, like this one who peeks at us as we dinghy around the south side of Ragged Island.